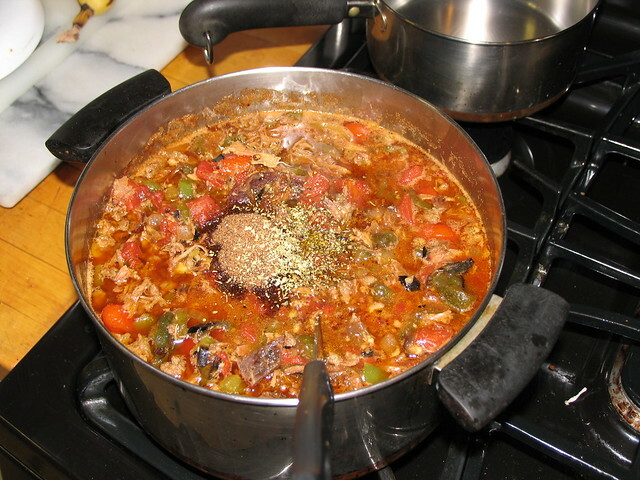 No Bean Smoked Venison Chili with Q-View | Smoking Meat Forums - The Best Barbecue Discussion Forum On Earth! Discussion in 'Wild Game' started by sqwib, Oct 19, 2010. This is definitely a meat lovers chili. 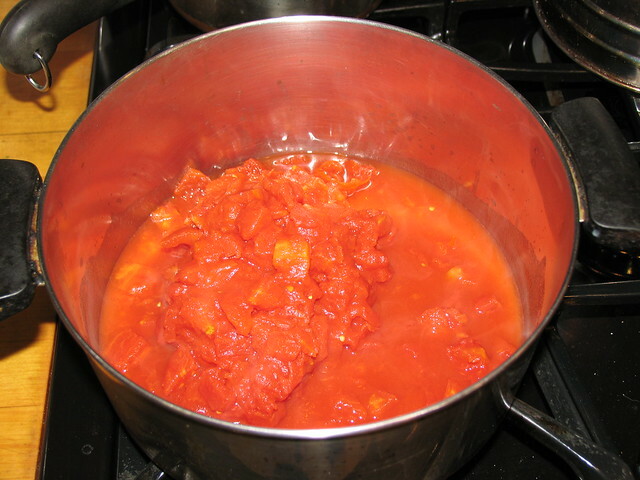 In a large 6 quart stock pot add all liquid ingredients with the exception of the Wine/Vermouth, bring to a simmer then slowly add the spices, reduce heat. 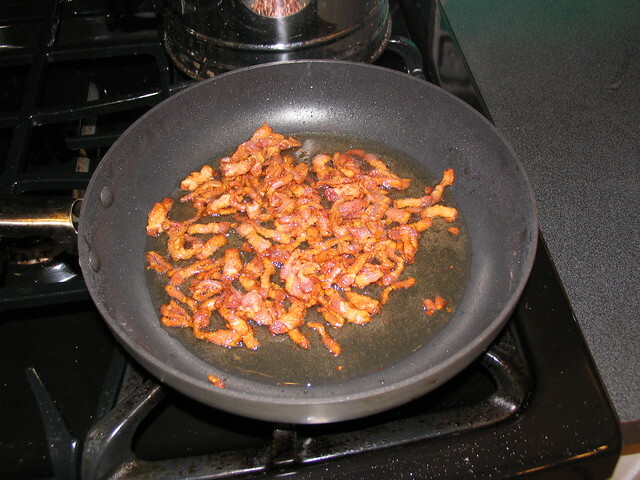 In a frying pan cook bacon till crisp , pour off bacon grease, reserve grease, place in stock pot, followed by onion,bell pepper then garlic, then jalapenos. 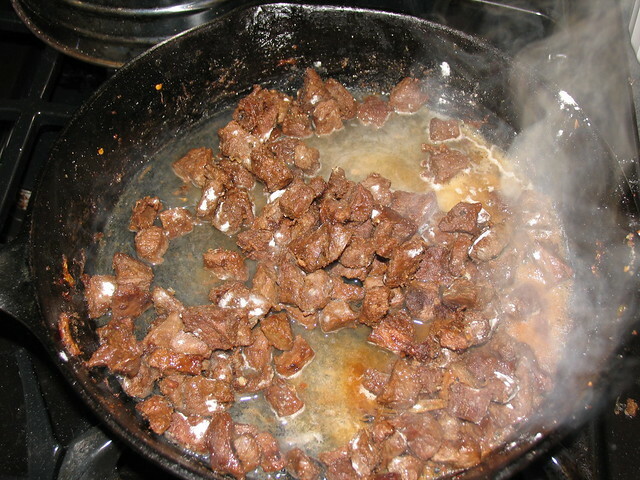 Brown sausage pour off grease, place in stock pot then brown venison on high heat after meat is browned reduce heat coat with 3 tablespoons of flour and de-glaze pan with red wine or vermouth reduce slightly, transfer to stock pot. 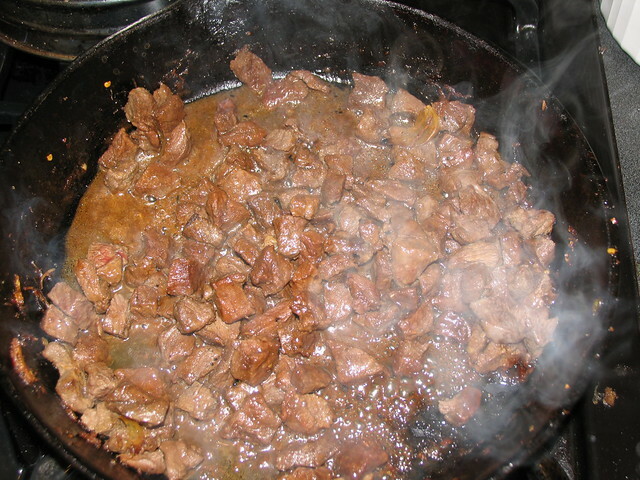 Simmer at least an hour then transfer to hotel pan and place in smoker. 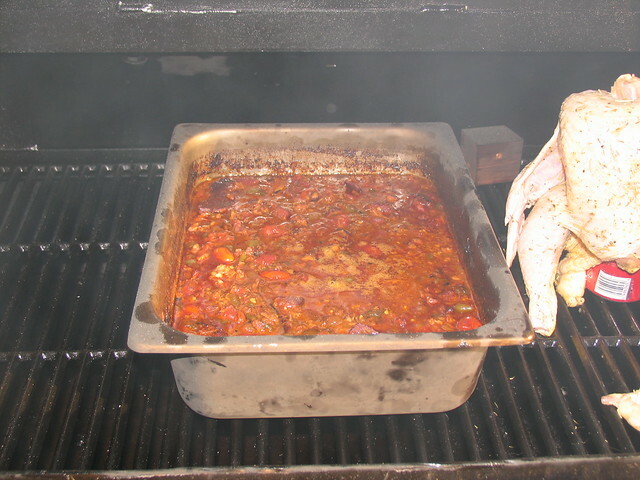 Smoke 3- 4 hours at 250 degrees, longer for stronger smoke flavor. 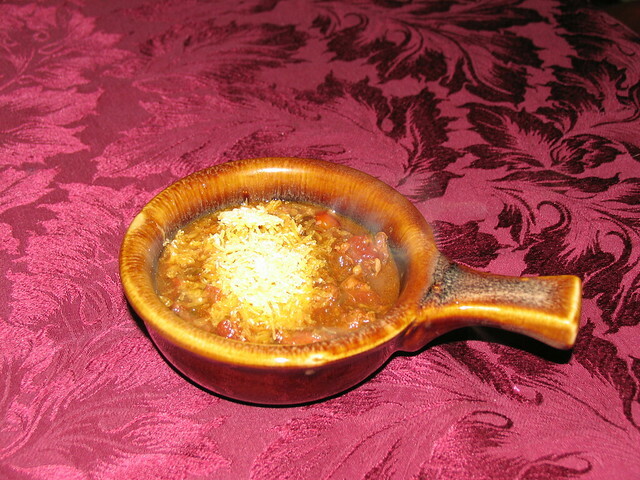 Serve in individual cups or bowls with Cabot shredded cheddar on top and diced onions. Tips: you can use a disposable foil pan, for easy cleanup, but I don't trust their sturdiness for stews or chili, if you do use foil pans make sure to place it on a cookie sheet or something. 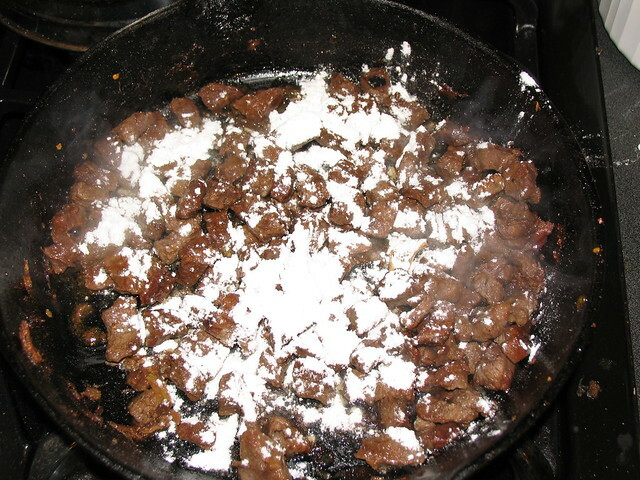 If you use hotel pans, spray the outside with Pam spray and foil the inside for easy cleanup. 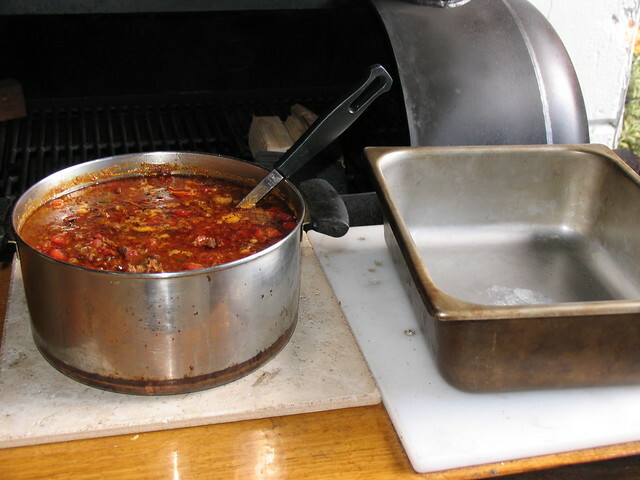 To increase smokey flavor, stir the chili every so often when a film forms on top. 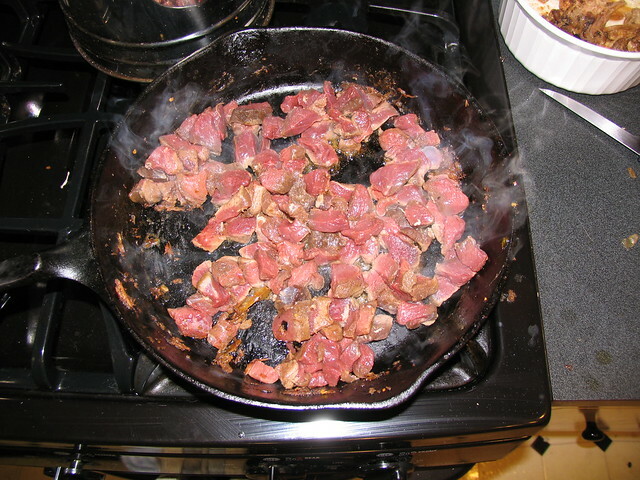 I substituted red wine with vermouth and I had about a pound of smoked chuck roast from a previous cook that I added. 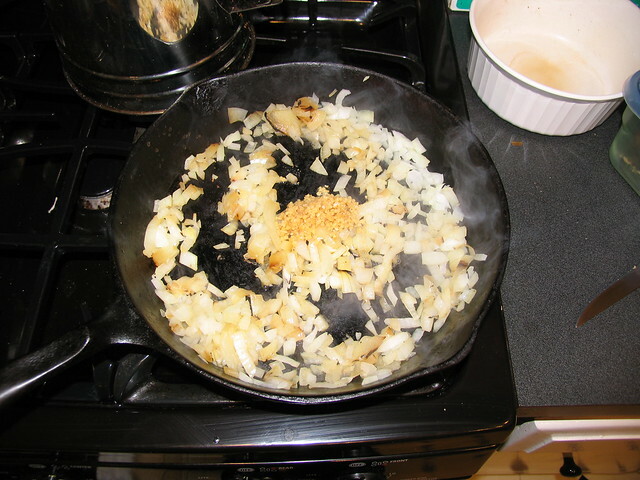 Some of the onion were grilled onions from a previous cook. 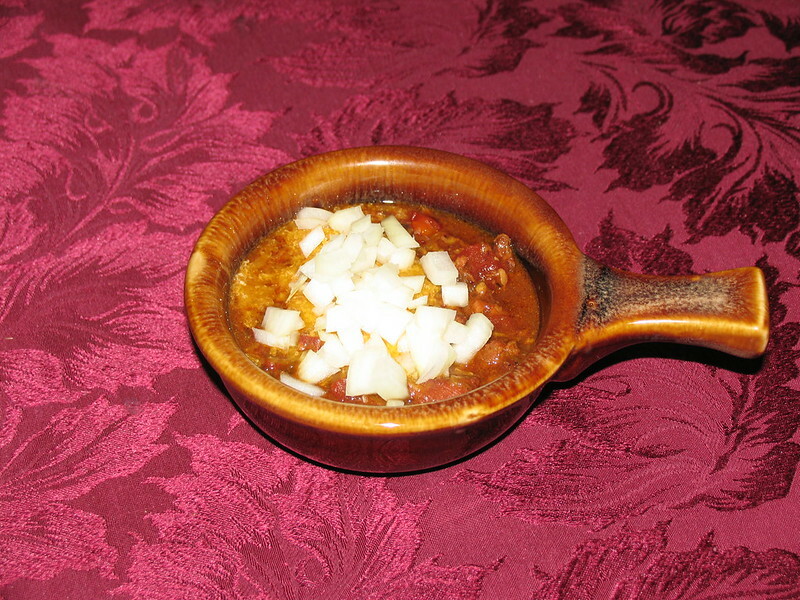 This chili was hot, I added about 6 jalapenos. I am eating a bowl as I sit here and type this. The smokey flavor was not as apparent the night it was made but after 2 days in the refrigerator, the chili had a very nice smooth smoky flavor. The honey really helps smooth out the chili's heat, you get the burn but it doesn't hang long. Nice, and inspirational. But why no beans? Hours later they remind you of the fun you had eatin' the chili! As do the jalapenos, but in a different way. When i saw someone ask why no beans i didn't have to look to see they were from above the mason dixon line. J K. Down here if ya turn out a chilli that don't take the enamel off your teeth and not have beans you have been disqualified. 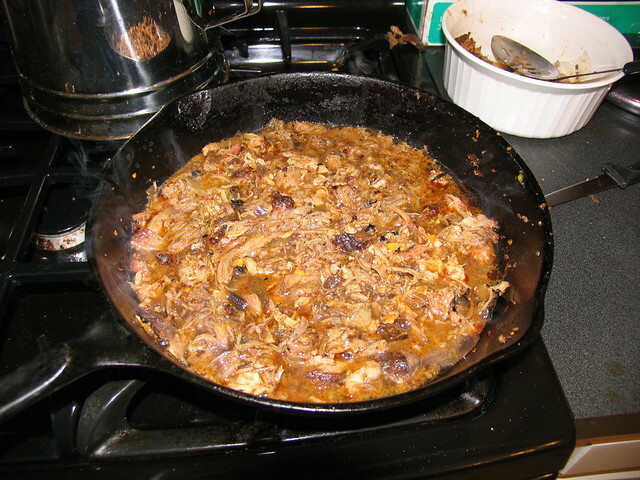 Beans are made to cook w/ ham hocks or sausage and served over rice. Pokey, just giving you a hard time , Please don't take me seriously . I like chili both ways, depends if I want to linger in it! I love chili. 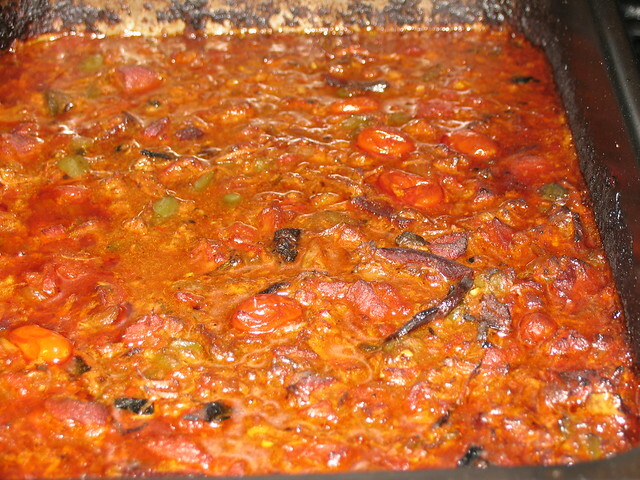 I need to come up with a new recipe to try out at my works halloween chili feed. Try pumpkin or squash as an ingredient. Glad you fixed it! Great lookin' chili!